Last week we asked questions about the state of Adobe’s widely adopted ACS4 DRM service and the implications of their announced migration to ACS5. Then we knew little of their plans and only of their intent, but today more has come to light on how they plan to achieve the move and the potential implications for those who sell the service and the consumer who has the files. Below is Youtube link to a webinar that Datalogics did alongside Adobe last week. It is not recommended that you watch it all as it is not user friendly and aimed at technicians. However some of the salient points can be obtained by cutting to this shortened clip http://www.youtube.com/watch?v=9qb-sXVlK_o&t=24m48s . Adobe confirms that it will ‘harden’ their DRM in July and force migration and that this will effectively kill compatibility with older RMSDK9 (reader) based apps and devices. The move is understandable from Adobe’s perspective and very reminiscent to the language that came out in 2006 when the introduced ACS4 to strict deadlines. Many pundits have taken aim at Amazon, Apple, Kobo, Nook and their proprietary DRM systems. However, all of these effectively can control their own environment and evolve seamlessly. Adobe’s DRM may be usable by others, but as demonstrated by this announcement, it puts your business and commercial transactions charges in Adobe’s hands. Short term this may be fine, but long term is it wise.com? The Adobe use of the term ‘hardened DRM’ is quite apt and we have to question whether we are being taken done a road which is technology applied for technology sake? ACS4 was easily hacked and broken so one option is to ‘harden’ it and make it more difficult to hack. The other is to migrate away from encryption and find ways to make business easier for all and grow the market. DRM is not about encrypted hard DRM. It is about digital rights management, be it hard, soft or none and we have to ask what we are trying to achieve and what works best for the market? 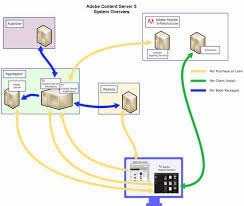 Adobe by moving part of the individual licence that was previously on the rendering server back to the issuing server and in doing so have tightened their grip on the file, but they have increased the cost of doing business and offered little in return. Adobe is increasingly creating its own walled garden and it begs the question – is it all necessary, or is it a simple case of the Emperor having no clothes and nobody strong enough to say so? This migration to ACS5 in fact could do more damage to the reputation of DRM that all the stones thrown at Amazon’s system. We were around pre ACS4 and were involved in the initial services. We also sat down with others trying to seek an alternative option to ACS4 but had little time and much pressure to roll over. Trying to change Adobe’s corporate mind-set is all but impossible. Today there are many alternative options and cloud based services all but render the existing ebook model redundant. As we move towards subscription based online and ‘as much as you can eat services’, many now seek a way to escape the Adobe locked in transaction charges. However, as we have suggested before we should not rush headlong into no DRM as that could be equally as short sighted. We must look at softer watermarking DRM which can be individually hacked, but if tied to a central licencing registry would provide provenance of legitimate ownership, which in turn could enable that often feared resell market some creditability. It is also interesting to note the only now some 8 years after ACS4 came to market are some of the business models and issues, which were raised at the beginning are starting to be addressed. Shared devices, bulk downloads, subscriptions, educational loans etc where raised at the time but not seen by Adobe and Overdrive as important then. It drives home the point that hard DRM may not just lock up the files but may also lock up the business from doing business their way.